Notes: Sale: CNG 76, Lot: 804 Very rare. 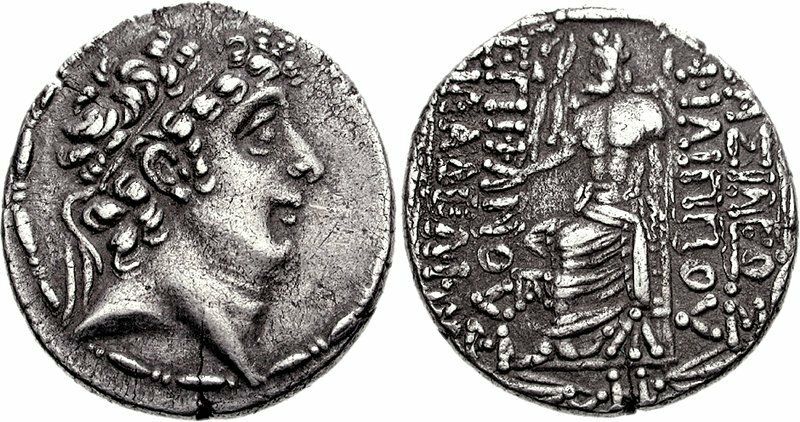 According to the forthcoming publication of SC II, this issue belongs to a rare series of coins imitating the types of Philip I that were struck before the Roman administration of Gabininus. While their weight standard is lower than the lifetime issues of Philip, they are in line with the standard of Antiochos XIII, and much heavier than the Roman issues (see Butcher, p. 198). While the hoard evidence indicates they were struck circa 69-57 BC, the circumstances of their issue are as yet unknown.